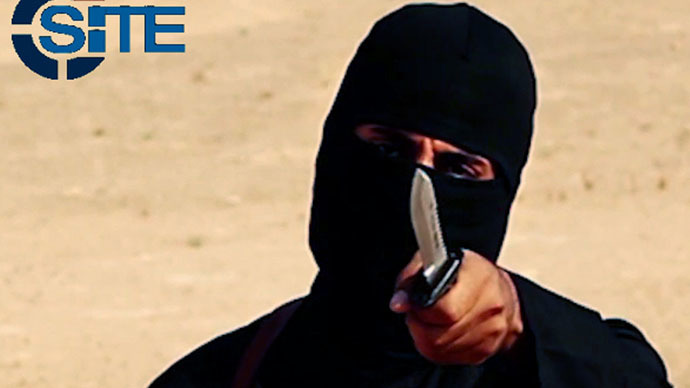 A man who defected from the Islamic State revealed Tuesday he had witnessed the British extremist Jihadi John, recently identified as Londoner Mohamed Emwazi, execute a hostage held by the terror group. The man, known only as Saleh, said Jihadi John was a senior figure in the organization and was responsible for the murder of foreign hostages. He claimed to have witnessed the execution of one Japanese hostage. Saleh further revealed that hostages were regularly subject to mock executions, so that when they were finally killed, they were not expecting it. He said the captives were also given Arabic names and reassured of their safety. Speaking to Sky News, Saleh, who worked as a translator, said he was ordered: “Say to them, no problem, only video, we don’t kill you, we want from your government [to] stop attacking Syria. Saleh’s job was to explain to the hostages they were in safe hands, despite knowing they would be killed. His revelations may explain why captives appear to be calm in videos of their beheading. Speaking with his face covered, Saleh told the channel Jihadi John had earned respect within the terror organization. “Maybe because he use the knife. I cannot understand why he is so strong,” he said. “One man can kill and all people will respect. A Syrian man anyone [in ISIS] can kill. But strangers [foreigners], only John,” he added. Jihadi John was revealed last week to be Mohammed Emwazi, who was born in Kuwait but grew up in west London. Despite being known to British authorities he was able to leave the country and travel to Syria in 2013, where he joined the Islamic State and is believed to be responsible for the murder of a number of western hostages. Emwazi, a graduate of the University of Westminster, was repeatedly questioned by MI5 about alleged links to Islamists and was revealed to have contemplated suicide after coming face to face with what he suspected to be a British spy as he attempted to sell a laptop computer in 2010. He has been a prominent figure in the Islamic State’s propaganda war with the West, and rose to notoriety after appearing in a video which showed him killing American journalist James Foley. Emwazi subsequently featured in the execution videos of US journalist Steven Sotloff, British aid workers David Haines and Alan Henning, and American aid worker Peter Kassig. He later appeared in a video with Japanese hostages Haruna Yukawa and Kenji Goto, shortly before they were killed.